MONTREAL - The Bloc Quebecois is looking for a new leader as Daniel Paille's two-year stint in charge came to a sudden end Monday when he announced he has epilepsy. Paille made his departure official at Bloc headquarters in Montreal, surrounded by party faithful and its four current MPs. "I am leaving for health reasons," he said, calling his departure a preventive measure — both for his own health and that of the party. "I have been having health problems for the last few months and it turns out it is epilepsy." Paille, 63, says his condition is manageable and treatable, but not with the schedule and lifestyle that comes with being a political leader. His doctor has advised he take it easy. "Why now? Leading a political party requires that one must be in exceptional shape and have incredible endurance...I'm passing the torch," Paille said. "In the circumstances, this is the best time for the party." Paille has been Bloc leader since December 2011 when he replaced longtime leader Gilles Duceppe. The Bloc has only four of the province's 75 Commons seats following the NDP's surge during the 2011 campaign under Jack Layton. Paille did not have a seat in the House of Commons. He said he'll get some rest before focusing on a new career that is more stable and less demanding than politics. He said he's not sure what the future will hold yet — he has spent 32 years working in finance and another half-dozen in politics. Paille said he's proud of his time with the Bloc and that the party is on the right track, with a party convention scheduled for 2014 and a plan to run candidates in all Quebec ridings at the next election. Paille assured the Bloc would remain a strong and important voice in Ottawa, even as he lamented the lack of coverage the fourth-place political outfit has received. "The Bloc Quebecois will never give up," Paille said. "It is the only party to put Quebec interests first, without compromise. A nation cannot live under the control of another." Well-wishes poured in for Paille following his announcement. Premier Pauline Marois hailed Paille's contribution to the sovereignty movement. "I wish him good luck in the future and I hope that it will all go well," Marois told reporters in Brussels, where she's on a European tour. Paille's federal political counterparts all wished him well in statements and tweets. In his time at the helm, Paille added an MP in former NDP-turned-Bloc MP Claude Patry, but lost a significant and popular Montreal-area one in Maria Mourani over discord related to Quebec's proposed charter of values. Mourani, who sits as an Independent, delivered a short statement through an assistant on Monday, saying she was saddened to hear of Paille's health woes. "I hope that over time he can recover with his family and friends," Mourani said. "I wish him a speedy recovery with all my heart." Paille was elected as an MP in a byelection in 2009 before being defeated in the 2011 general election. 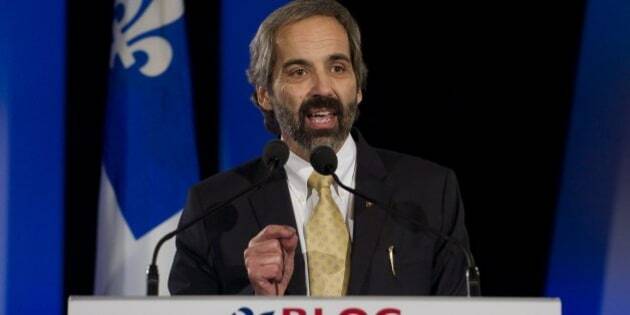 He previously served as Quebec industry minister in the mid-1990s under the Parti Quebecois. Paille said he won't be involved in the process to find his successor. The party will lay out a plan for a new leader at a meeting in early January. In the meantime, party vice-president Annie Lessard will assume Paille's role as president, with Bloc House leader Andre Bellavance acting as party leader in Ottawa. Paille held both roles. Bellavance, who supported Paille during his leadership campaign, said his former leader breathed new life into the party after its 2011 battering at the polls. Party membership stands at about 35,000. Bellavance declined to comment on the characteristics he'd like to see in a new leader, choosing to focus on Paille on Monday. "In the end, it'll be the Bloc Quebecois members who will determine who succeeds Daniel," Bellavance said.